Date of publication: April 12 2015 . 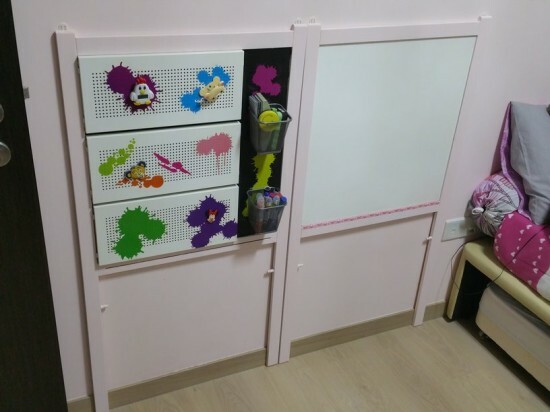 If you have a child, then you certainly need to equip a place to develop his creative abilities - a children's corner for drawing. 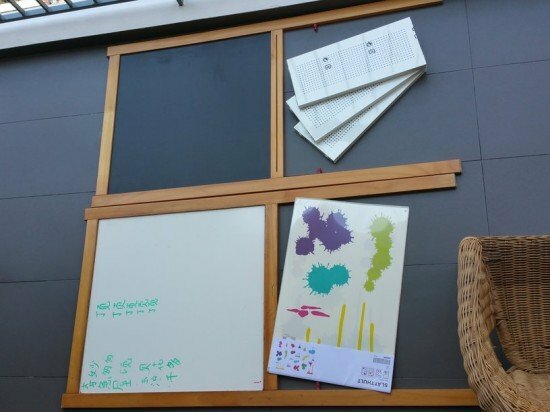 In the catalog IKEA have the perfect solution to this problem - Folding easel board-MALL. But we, as a true "hackers" try to offer you a slightly different version, more compact and interesting. So to speak, "upgrade" easel MALL for children's corner. To implement our ideas we discuss easel board-MALLBy removing the stand for pens and unscrew the upper screws. If you plan to remake the room the girls, then cover the drawing area newspapers and paint a wooden frame in some bright color, such as pink. Then attach the easel with the help of clamping plate Algot to a wall. Can further decorate the product with decorative stickers SLETGULT. Creative side of the board put the glasses pen a series of products DOCUMENTBetter to do it right, of course, if your child is right-handed. Possible additional fastening with special stickers. Design children's corner ready, hope your child will be happy if you put this idea into reality.